Graeme Souness admits he is yet to be convinced by Fabinho despite his recent rise to form with Liverpool. The Brazilian has seemingly put a slow start to life on Merseyside behind him to assert himself as a key figure for Jurgen Klopp over the second half of the season. 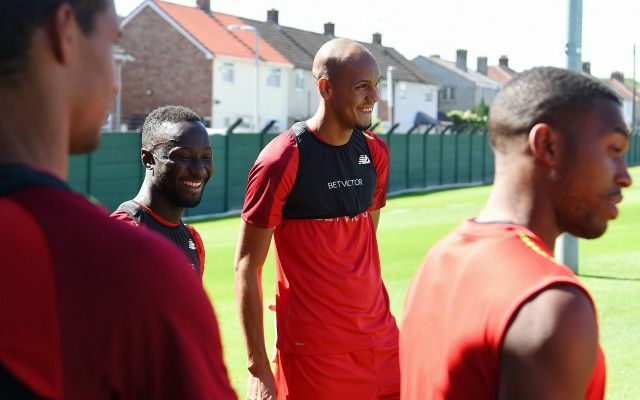 Having not played a single minute over the Reds’ opening eight Premier League games of the campaign, Fabinho has since managed the full 90 minutes on eight occasions. Klopp’s decision to ease him into a significant change in speed and intensity has evidently paid off, with the former Monaco man having starred over the festive period. Whilst confident Liverpool can respond to their 2-1 defeat to Manchester City, Souness is keen to see more from the club’s £44million acquisition. Fabinho’s growing influence was underlined again on Thursday night when he steadied the ship for Liverpool after coming on as a second half substitute at the Etihad. The 25-year-old proved welcomed resistance to City’s high press and was notably key in stretching the pitch as a means of keeping his side’s full-backs heavily involved. His cameo against the champions followed up dominant displays in the wins over Manchester United and Arsenal in showcasing his adjustment to English football. Naby Keita was once deemed the summer signing further ahead in his progress at Anfield, but the tables have gradually turned over the past month or two.